This month, we learned of the closure of Sport magazine. From the magazine’s debut issue back in September 2006 through to its final edition in February 2017, we, as readers, were never disappointed by the sheer breadth of sports covered or the calibre of phenomenal athletes featured. The magazine celebrated diversity in sport, showcased burgeoning talent, provided a platform for disability sport, championed women in sport, and so much in between. To the team, thank you for bringing us closer to some of the most exciting moments in sport and for delivering truly compelling reads, issue after issue. For more than a decade your love of, and passion for sport has entertained, motivated and touched us. So, as we read and share the final issue, we thought it only right to look back as a team and share our own favourite Sport magazine covers from over the years. To the team at Sport, we wish you the very best. When it came to choosing a standout Sport cover, there were so many that I considered. From the Ayrton Senna April 2014 cover, marking the 20th anniversary of the icon’s death, through to the James Hunt issue in July 2016, which considered whether we would ever see a driver like Hunt grace the track again, there were so many ‘favourite’ issues of mine, many of which still to this day sit on my desk. But, when I considered which issue was the most memorable, there was one cover that stood out amongst the rest, and this will come as no surprise to anyone who knows me. While Ronda Rousey graced the cover of Sport in July 2015 upon the release of My Fight, Your Fight, the November 2016 cover was, for me, even more compelling. 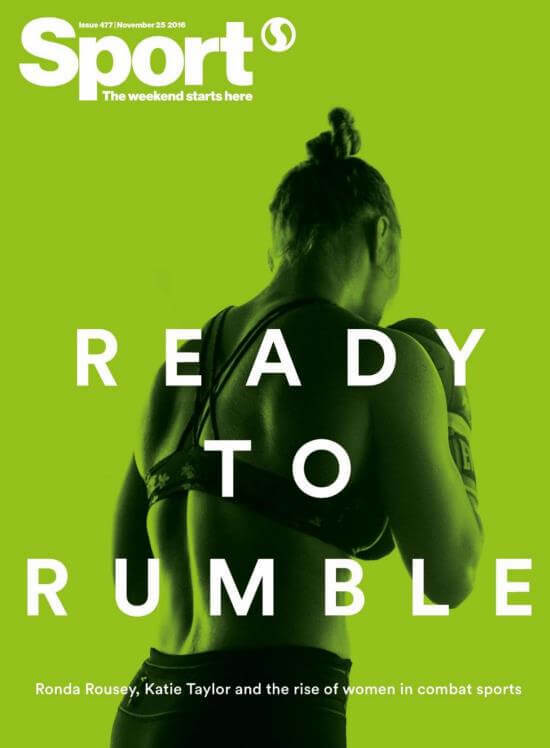 The cover and inside feature by Alex Reid shined a light on the growth of women’s combat sports and the unquestionable impact that Ronda Rousey has had on participation in, and following of, women’s martial arts. The ‘Rousey effect’ has been remarkable to witness and, in my opinion, Rousey will long be considered a pioneer for women’s MMA, a role model for young girls all over the world and an inspiration to women who have ever doubted their own capabilities. Quite simply, there will never be another Ronda Rousey. This cover is also just one of the many examples of how Sport magazine championed women’s sport, and covered male and female stars as equals. Incidentally, Rousey is the very reason why in the UFC – unlike in many other sports – male and female athletes compete on a level playing field, are granted equal exposure and are rewarded commercially in much the same way. I look forward to the day when that can be said of every sport. 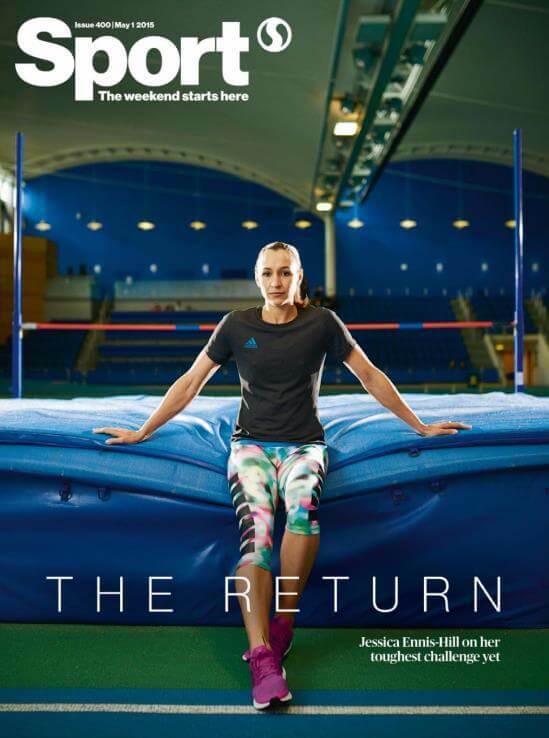 I am a huge Jessica Ennis-Hill fan, so my pick was always going to be one of her covers, but I went for this one as opposed to some of the potentially more iconic Olympic/Team GB focused ones because I like the fact that the image is a reference to all of the incredible hard work that Jess had to put in behind the scenes to get back to her best. The image and the text, whilst being understated, also made me believe that her opponents had something to fear from her return, and of course, they did. It was shortly after this issue came out that I found out I was pregnant with my first child and Jess was then, and continues to be, a great inspiration to me. She is the ultimate proof that, whilst it may not be easy, your career can continue to go from strength to strength after you become a mum. So, thank you Jess. And thank you Sport magazine for this issue and all the other great ones. We will miss you! My parents have always been avid readers of print media so I have read the sports pages of newspapers since I was about eight years old. I remember this front cover so clearly because I was incredibly excited at the thought of being able to read 30 pages of fantastic sports features for free! 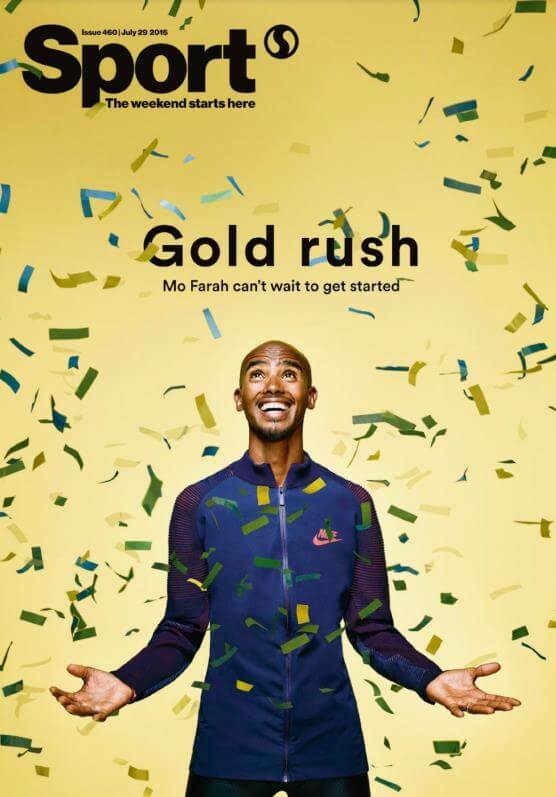 Mo Farah can’t wait to get started…. I love this cover for a couple of reasons – firstly for its style. 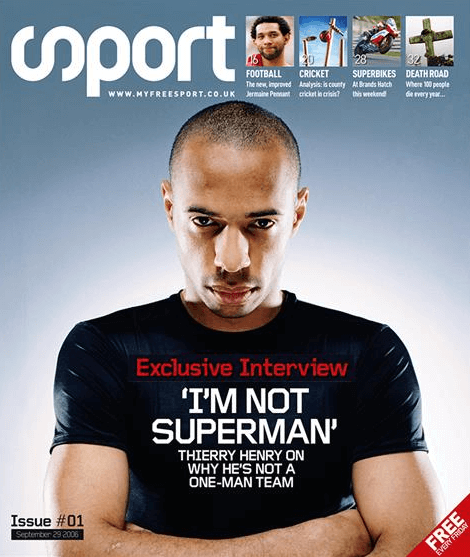 Sport magazine’s covers are always completely different to the image chosen by the vast majority of other sports media. One of the things I loved about Sport was that it made sports media accessible and interesting even for people that might not consider themselves sports fans. Bright, fun covers like this would attract attention whether you’re a sports nut or novice and once people pick the mag up I’m sure plenty of people will have found themselves drawn into a sport they would never have considered before reading a profile or feature in Sport. I also love the look of absolute excitement and delight that Farah has on the cover. It makes you imagine that he really does feel the way you’d hope pro athletes feel heading into a big event – beyond excited that they get to be part of that moment. 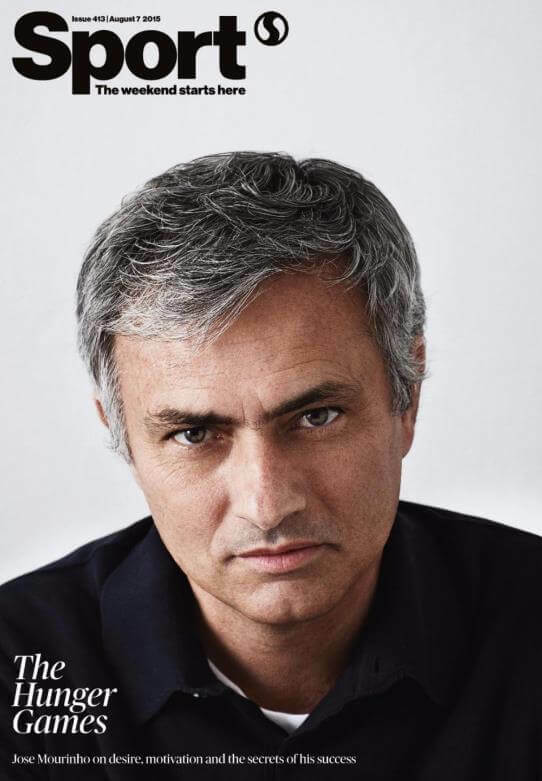 The reason I picked this as my favourite cover is simple; without Jose Mourinho gracing the Premier League in August 2004, I’m pretty sure English football wouldn’t have been so entertaining over the last decade. And this issue brought readers up close and personal to the man himself. As a Chelsea fan, Mourinho was a breath of fresh air when he first arrived. His charisma, his passion, his will to win undoubtedly helped end the club’s 50 year wait for a domestic league title in his first year in charge. The spine he created in that Chelsea team of Cech, Terry, Lampard and Drogba remains one of, if not the strongest in Premier League history. Mourinho is one of the greatest managers to ever grace the game, so this cover will long stand out for me. 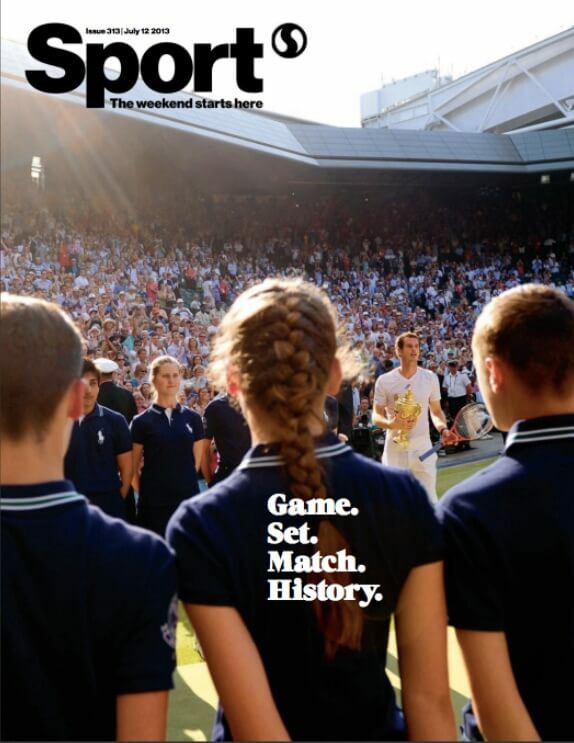 This is my favourite Sport cover because I really like both the caption – perfectly illustrating the significance of ending a near 80 year wait for a British men’s winner at Wimbledon – and also the image used – in which the magnitude of what Murray had just achieved has definitely not fully dawned on him judging by the state of shock across his face! Now what? Greatness secured, Mo Farah looks to the future. Brendan Foster’s commentary as Mo Farah secured the ‘double double’ in Rio 2016 is one of the most memorable pieces of sports commentary I’ve ever heard. 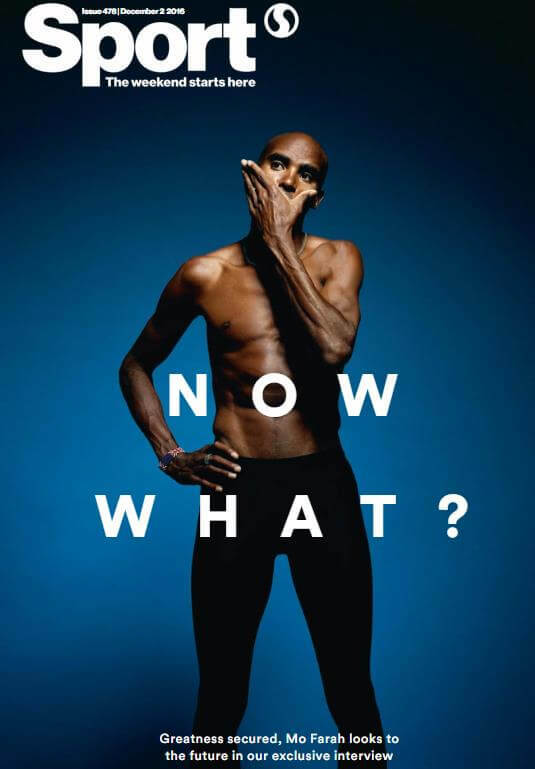 I think this cover perfectly encapsulates both Farah’s athleticism and his relaxed, humble nature, which have made him, in many eyes, Britain’s greatest ever athlete. Personally, I feel he is still underappreciated by a large number of the British public and it astonishes me that he is yet to win Sports Personality of the Year. For Sport magazine to recognise him in this way shortly before it was announced he was to be awarded a knighthood was very fitting. I chose this Federer cover because I have loved watching him play tennis since as far back as I can remember, and his recent win at the Australian Open once again made it clear why. He is such an accomplished player who competes with pure style and class, and has everyone in awe of just how easy he makes it look. His composure never fails, and he inspires not only in his victories, but also in his defeats. His comebacks are legendary and above all, he is humble, devoid of ego, and the embodiment of a true champion.